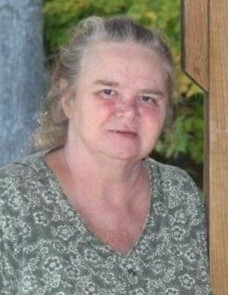 Wynantskill- Diane (Beanie) Anderson, 69, died, unexpectedly, March 24, 2019 at St. Peter's hospital. She was born July 24, 1949, in Troy, the daughter of Francis O. Anderson and Althea M (Wilcox) Anderson. Diane worked all of her life. She was fun loving, caring and straight to the point. She resided in the house our family grew up in, along with my sister and her family. Through the years Diane was a 2nd mother figure with many of our nieces and nephews. Chelsea, Brando, Chloe Banker, Patti Goodermote. Her heart was filled with love for each and everyone. Robin (Dave) Zimmerman and Sharon (Tom) Banker) ,along with many nieces, nephews and cousins. A celebration of life will be held 1-6 pm Saturday, March 30th at the Sullivans Jones Post, 25 Veterans St, Poestenkill, NY 12140. American Heart Association at https://www2.heart.org/site/SPageNavigator/donatenow_heart.html.